Summary: In the first week of February a large delegation visited the Netherlands invited by FoodTechLink and the Dutch government. 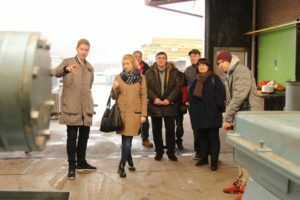 The delegation-members were managers or owners of large production sites for vegetables, mushrooms, berries and arable farming. Also several decision makers of the Ukraine government or organizations joined the mission. The trade mission started in Amsterdam with a canal tour and ended at the Fruit Logistica in Berlin. 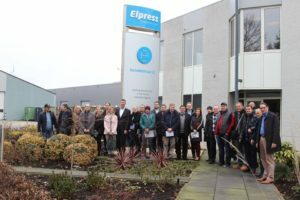 The delegation visited several Dutch examples of the Dutch agrofood industry. With the objective to start partnerships.